Micro USB charging built in battery provides up to 15 hours of playing time in adaptive noise cancelling mode, and up to 20 hours in wireless mode. Fully recharge the battery in 3 hours. Easily update your headphones over the air via the My JBL Headphones app so you’ll always have the latest and greatest features. Calibration personalizes the audio performance based on ear cup fit, delivering the most authentic version of music possible. To personalize these headphones, developers can unlock smart experiences with the Everest Elite 750NC by downloading the CES 2017 Innovation award winning JBL EVEREST ELITE SDK (software developer kit) currently available at www.developer.harman.com. Headphones are ergonomically designed to fit the unique contour of listeners’ ears. Listeners experience unprecedented comfort - allowing a longer, more enjoyable experience. Smart enough to know that music doesn't need noise or wires. JBL EVEREST™ ELITE 750NC is rated 3.3 out of 5 by 108. Rated 5 out of 5 by KyriosChris from Great features! I bought this a month or so ago, and it's so great! It's very comfortable around your ears, and the sound is excellent! Rated 5 out of 5 by spag1308 from Awesome product! I've had my Everest Elite750NC for almost a week now. I've been wearing em everyday and playing with the features. The sound quality is amazing as always with JBL. Super comfortable. My only complaint is that the buttons are not well defined so it takes muscle memory & im still hitting the wrong buttons. But other then that they are super comfy, great sound & the carrying case is probably one of the best. Rated 5 out of 5 by LadyLuck7 from Awesome Headphones! Connected to my Laptop After 3 months of having these Headphones I finally figured out how to connect it to my laptop. Now I can watch my favourite programme without having to disturb others. 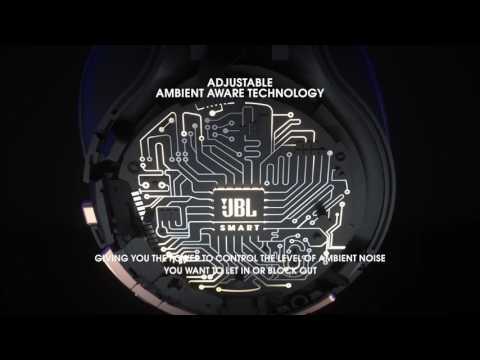 To set up your JBL headphones: 1: Go to Settings - Change PC Settings >> PC and Devices and turn the Bluetooth On 2: Turn your JBL Headphones on until lights flashes Blue. On your Headphones there is a "Bluetooth Icon" (See Photo)..hold the button for 10 seconds and the "JBL Everest Elite 750nc" will appear ready for Pairing. 3: Click on "Pair" and waalah! It's ready for use. I hope you enjoy this! Just as much as I enjoy these awesome Headphones. I got my Headphones free with my S9 Plus phone deal package along with a Free Wifi Charger. AFBO - I used the My JBL Headphones app. When the 2 are connected, it will give the remaining battery life. Hi. I cannot connect to PC via Bluetooth dongle using BluSoleli program. My friend have Everest Elite 700 headphone and them connect fine immediately. I tried some different dongles but not succeeded with none of them. Thank you for any advise. I pressed simultaneously on play and bluetooth buttons and holded them about 10 sec. Until a nice woman voice told me something unclear and connection was paired. Thank you. I am looking for a headset to use with both phone and PC. Can I connect the headset to the PC with the USB? Because the bluetooth will probably have a big lag if I use them for gaming. EVEREST ELITE 750NC can only be connected to a source via Bluetooth or Aux. The USB port is only meant for charging the headphone. Most of the Bluetooth headphones are not specifically designed for gaming but if wired connection is alright for you, you can use the detachable Aux cable that comes with the EVEREST ELITE 750NC to connect to your PC. No AAC and AptX. Are you serious? The EVEREST&trade; ELITE 750NC supports the most widely accepted codec, SBC. Unfortunately, AAC or APTX are not supported. Thank you for the time to provide us with your feedback. We are sorry to hear that you are not satisfied with our product. This information will be conveyed to the appropriate department to improve our current and future product designs. We apologize for any inconvenience caused. I am looking for operating instructions more detailed than the less than satisfactory quick start instructions that came in the box. why does windows says usb tool cannot run please contact manufacterer? what is usb tool for? EVEREST ELITE 750NC should work with your computer. You'll just need to find a Bluetooth driver that supports A2DP Audio codec. Your best bet is to go into your control panel and find the Bluetooth setup. If you don't see the Bluetooth section on Devices, chances are that there are issues with Bluetooth driver. Make sure to go to Device Manager to verify the driver is present and installed correctly. If everything looks alright, but you don't see the option, you may want to download and reinstall the latest Bluetooth driver from your computer's manufacturer support website or contact OEM directly for further support. Great sound and comfort, BUT.... I cannot get my new 750NC to connect (Bluetooth) to my Samsung Galaxy S tablet. No problem with my Galaxy S7 phone, but the headphones are invisible to the tablet. What am I missing something?